We're seeking staff who are energetic, thoughtful and motivated by our mission. A dedicated team of experts from industry and academia advises our work. As Executive Director of the MIT Office of Engineering Outreach Programs, Hearn oversees the strategic implementation of programs offered through the MIT School of Engineering focused on creating access in STEM for underrepresented and underserved students. The OEOP currently serves more than 350 middle and high school students in Saturday, residential, and online programs and more than 1,000 alumni at undergraduate institutions around the country. Prior to her role as ED, Hearn served as Assistant Dean for Graduate Education, Diversity Initiatives at the MIT Office of Graduate Education (OGE) from 2014-2016 and as Program Director, Diversity Initiative at the Broad Institute from 2008-2014. In both roles she provided strategic direction, keen insight, and coordination to increase student diversity and academic success at all academic levels. At OGE Eboney oversaw retention and recruitment efforts of underrepresented minority graduate students, staff training, budget management, and in collaboration with the foundation relations and development offices, secured contributions to support existing efforts and to create new ones such as the University Center for Exemplary Mentoring at MIT. Prior to coming to MIT, Eboney was a mathematics teacher at public middle- and high schools in Boston for five years and was a manufacturing engineer at IBM, where she led several manufacturing processes in circuit board printing and co-patented a novel photolithography process. In addition to her undergraduate degree in Chemical Engineering from MIT, she earned an Ed.M. from Harvard University in 2004. Reimi Hicks serves as the manager of programs for the Office of Engineering Outreach Programs. Prior to joining OEOP, Reimi acted as the program manager for MdBio Foundation, where she developed, coordinated and evaluated the Foundation’s STEM outreach programs. In this role, she engaged high school and middle school students throughout Maryland in hands-on STEM activities and career readiness events. Reimi received her B.S. in human biology from Brown University, where she gained research experience through several programs including an internship at MIT’s Haystack Observatory. Reimi earned her M.S. in biology from the University of Maryland, College Park and also completed the University’s Teaching and Learning Program. While contributing to STEM outreach efforts during her graduate studies, Reimi developed a passion for motivating students to seek academic and career advancement opportunities. As the Manager of Finance and Administration, Faika Weche oversees the budget, human resources and operational functions of the office. Faika Weche is a native of Massachusetts. She received her undergraduate degree in Business Administration with a concentration in International Studies from Suffolk University in May 2004. Faika earned her graduate Master of Divinity degree at the Wake Forest University School of Divinity located in Winston-Salem, NC in May 2010. Prior to attending Wake Forest University School of Divinity, Faika spent three years working in the private sector in retirement services. Upon completion of her graduate degree, she returned back to Massachusetts and spent a year working with severe special needs elementary students. In January of 2012, Faika started her MIT journey, her career began as an Administrative Assistant (2012-2014) to Program Coordinator (2014-2017) in the Department of Chemical Engineering. While managing a tutoring site part-time for the Schools on Wheels of Massachusetts (2011-2015) with over 50 students and volunteers, she continued to discover the power of educational enrichment. Today has a renewed passion for academic student advancement opportunities. Adriana serves as the Program Coordinator for the MITES program, but joined the OEOP family as a participant of the program years ago. During the pursuit of her undergraduate degree in environmental engineering, Adriana became involved in various efforts to retain minority populations within the College of Engineering at the University of Florida. Adriana served as the lead mentor for a summer bridge program for underrepresented populations in engineering and a resident assistant for an engineering residence hall. After graduating, she worked as an engineer for a global chemical manufacturing company in Freeport, Texas. She also led the creation of a mentoring program for female employees of the company in an effort to bridge the gender gap within the site. Adriana is eager to help motivate younger underrepresented and underserved students in becoming the best versions of themselves as they pursue STEM fields. Annie began her role as the MOSTEC Program Coordinator in Fall 2018. Originally from Virginia, she joins the OEOP with a background in science education, outreach, and youth development. Annie received her BA in Gender studies with a minor in Environmental Science from the University of Virginia in 2011. Upon graduation, Annie began her teaching career in Memphis, TN as a 2011 Teach For America corps member. She spent the next six years teaching elementary and middle school science in both urban and rural communities across Tennessee. While earning a Graduate Certificate in Geographic Information Systems from East Tennessee State University, Annie hosted professional development sessions for K-12 teachers. She also served as a liaison between the university, local schools, and community organizations while spearheading several environmental and STEM outreach initiatives serving over 300 students in grades K-12. Annie is excited to bridge her passions for social justice, science, and leadership development in order to make high-quality STEM opportunities more accessible to all. As the OEOP’s Administrative Assistant, Prossy Najjuma supports the Executive Director and the entire OEOP team through instituting finance, administrative, and human resource processes. Before moving to the Boston area, she supported the Human Resource team at the University of Utah through finance and general Human Resource Administration where she advanced the process for financial reviews. Prior to that, she supported the General Manager and Executive Team at Sheraton Kampala Hotel in Uganda. Prossy has a passion for community support and has been instrumental in facilitating education programs for refugee communities as a Civics and Citizenship Volunteer Tutor under the International Rescue Committee – Utah and through Rotary Community Service in the rural communities in Uganda. Prossy holds a B.A. Social Sciences from Makerere University Kampala and a Postgraduate Diploma in Human Resource Management from the Uganda Management Institute. As the Program Assistant for Saturday Engineering Enrichment and Discovery Academy (SEED Academy), Ron Pannell, supports the daily functions of the program. His background in Higher Education includes work in various educational offices such as the Office of Student Engagement, the Registrar, and the International Education Programs. He is extremely excited to carry out the mission of the SEED Academy to empower students from underserved and underrepresented populations. He believes education is the key to upward mobility and financial security. Ron is currently a Master of Public Administration student at UMass Lowell. The master’s program is a continuation of his studies in political science as an undergraduate at Fayetteville State University in North Carolina. Adia Wallace is originally from Jackson, Mississippi and joins MIT from a background in instructional technology and STEAM education. Adia holds an Ed.M. from the Harvard Graduate School of Education, and while living in Boston she worked as a workshop facilitator with several youth STEM programs, non-profit organizations, and early startup ventures on a variety of tasks. Prior to joining OEOP, Adia developed online professional development courses for the startup CareAcademy. Adia graduated from Xavier University of Louisiana in 2014 earning a B.A. in Philosophy and a minor in Computer Science. 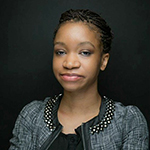 Adia worked with several organizations, including the Educational Testing Service and the Google Community Leaders Program New Orleans, where she worked to help NOLA musicians develop web literacy and brand themselves online. She still works with several of the non-profits who supported her while attaining her goals in higher education. Professor Cardinal Warde is the Faculty Director of the OEOP. His main responsibility is the intellectual content of the programs offered by the OEOP. He is a professor in the Department of Electrical Engineering and Computer Science, and is one of the world’s leading experts on materials, devices and systems for optical information processing and displays. Professor Warde's current research activities are centered on the development of: compact optoelectronic neural network co-processors for brain-like computing, light modulators and projection displays based on micro-electro-mechanical systems, and high-resolution, adaptive, wavefront-phase compensation systems for imaging and optical communications. He is the co-editor of one book, and the co-author of three book chapters on optical materials and devices. In addition to publishing over one-hundred-fifty technical papers in these fields, he is the holder of twelve patents on spatial light modulators, displays and optical information processing systems. Professor Warde is a fellow of the Optical Society of America, and a former Associate Editor of the Journal of Display Technology. Currently, he serves voluntarily as the Interim Executive Director of the Caribbean Science Foundation which runs the Student Program for Innovation in Science and Engineering (SPISE). SPISE is a program for gifted Caribbean students interested in pursuing careers in science and engineering. He also serves as a pro-bono scientific advisor to the Government of Barbados, as well as on the boards of a number of high-technology companies in the US. Anahita Zare joined the OEOP in Fall 2017 as the Program Coordinator for Saturday Engineering Enrichment and Discovery Academy (SEED Academy). Anahita was born and raised in Florida and received a B.S. in Chemistry from Florida State University. She earned her Ph.D. in Chemistry from the University of Missouri-Columbia in 2017. While pursuing her graduate studies, Anahita worked to develop and implement various science outreach programs throughout Columbia, MO, such as the local Science Café and the Chemistry Immersion Program. It was through these science outreach programs that Anahita developed her passion for ensuring science education and opportunities to underserved and underrepresented communities.